When you rent a property, you are awarded a series of rights. These privileges may not be infringed by your landlord or the party who owns the property. Before you rent a space, you must understand that Tenants’ rights vary between states; understanding your state’s particular tenants’ rights is essential to avoid mistreatment or egregious violations concerned with your rental property. 8. Landlords may not refuse rental under a “no pet” policy if your pet is a classified trainer helper animal, such as a seeing-eye dog. It must be noted, that these federal statutes are not applied to all rental properties. The primary exceptions to these regulations are owner-occupied dwellings with four or fewer units, housing offered by religious institutions, private organizations, housing units designated for the elderly, and single-family dwellings rented without a real estate broker. If are rejected from renting because the landlord obtained negative information about you from a previous landlord, your bank, a former employer or some other third party, you have the right to know what information was collected and why you were rejected. According to the federal Fair Credit Reporting Act, landlords must tell you the rejection was based on a retrieval of negative credit information that came from a source other than your credit report. Moreover, the federal Fair Credit Reporting Act also requires landlords to inform you that, during the time period after he or she informs you of the retrieval of negative credit information, you are permitted to submit a written request for a disclosure of said information. After receiving this request for disclosure, a landlord must tell you the nature of information within a reasonable timeframe. Federal law does not identify the amount of detail the landlord must provide. All prospective renters have the right to secure a dwelling that is fit to be inhabited. All rentals must be free from unsafe conditions, including holes in the floor, loose plaster, faulty wiring, infestations, etc. Furthermore, rental properties must be free of lead-based paints. When economic crises cause a landlord to default on the property’s mortgage, the underlying bank will assume the role as the new landlord. When this happens, the bank will typically sell the property as quickly as possible, resulting in the eviction of tenants. Although this situation is impossible to predict or halt, the Protecting tenants at Foreclosure Act of 2009 provide that leases survive foreclosures. The legislation allows tenants to stay at least until the end of their lease and month-to-month renters are entitled to 90 days’ notice before a forceful move-out is realized. In addition to the protection awarded under the act, tenants have the right to sue for breaking the promise latent in the rental contract. When a landlord defaults on a mortgage payment they are ruled accountable for the economic suffrage imposed on their tenants. To sue, file a complaint in your local small claims court to recoup the losses associated with moving expenses, apartment searching costs, difference in new and old rent, application fees and other costs associated with relocation. A number of states in the U.S. will allow a landlord the right of entry if the tenant is absent for more than seven days. This right is awarded to the landlord to maintain the property as necessary and to inspect the dwelling for needed repairs and/or damages. In the majority of instances, landlords are not permitted to enter a rental property to simply check-up on a tenant and the property. Those states that regulate a landlords’ access will require the individuals to provide advance notice (typically a full day’s notice) before entering the property. In the majority of states that do not uphold the advance notice clause, a landlord may enter the premises while a tenant is living there only in the case of an emergency. All states in the U.S. permit a landlord to collect a security deposit when the tenant moves in. Roughly half the states will limit the amount a landlord can charge, typically no more than one or two months’ rent. A number of states will require landlord to place deposits in a separate account, while other states will require landlords to pay tenants interest on said deposits. A landlord will use the security deposit to cover all unpaid rent or to fulfill the costs associated with repairs or cleaning that result from unintended or abnormal use. Basic tenants’ rights state that your security deposit shall not go towards remedying ordinary damage during your residency. For example, landlords may not withhold your security deposit to pay for carpet cleaning, repainting or house cleaning unless these actions were deemed necessary because of your abnormal use of the dwelling. You should protect your security deposit by taking pictures and recording the condition of your dwelling when you move in. When your lease ends there are numerous tenants’ rights to observe regarding the recoupment of your security deposit. 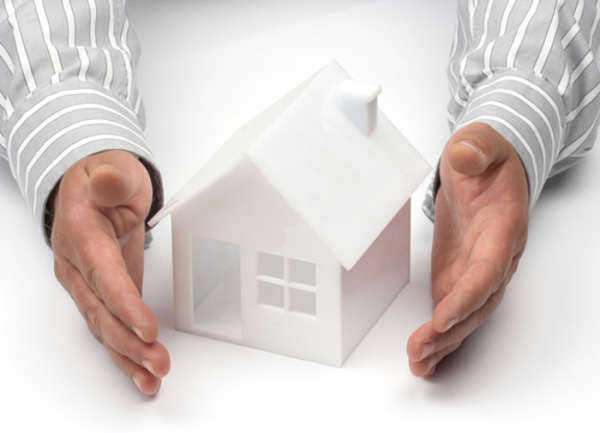 A landlord, as stated above, may only take funds from the deposit for allowable reasons. The majority of states require landlords to document these deductions through the delivery of a written itemized accounting procedure regarding all repairs, necessary cleaning or unpaid rent. Deadlines will vary from state to state, but a landlord will typically have a time limit in which to return deposits, typically 2 weeks to one month after the tenant moves out, either by eviction or voluntarily.